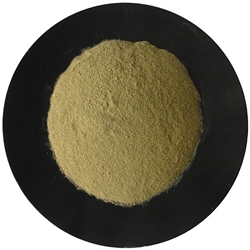 Kratom Premium Bali Powdered Leaf has become a standard for quality Kratom leaf around the world. Our Bali Kratom is always tested in a 3rd party lab, and we only purchase Bali leaf that has at least a 10% mitragynine content, as well as a rich array of the 4 other alkaloids common to most Kratom varieties, including 7OH. See the full description below for all that makes our Kratom Premium Bali Powdered Leaf the freshest and cleanest material, certified free of any dangerous pathogens, mold, or heavy metals. Not only were we the first importers of dried Kratom leaf, we were the first to initiate quality testing for all Kratom leaf that was coming into the country. Bali Kratom has become a standard for quality Kratom leaf around the world. Our Bali Kratom is always tested in a 3rd party lab, and we only purchase Bali leaf that has at least a 1.2% mitragynine content, as well as a rich array of the 4 other alkaloids common to most Kratom varieties, including 7OH. Although we always advocate using whole leaf in relation to any herbal product because it ensures that there's been no adulteration of the natural herbal product, we offer this as a trusted vendor to our customers with our usual 100% Satisfaction Guarantee. What does this mean for you? If, for any reason, you don't care for our Powdered Kratom Leaf as much as our cut-and-sifted variety above, simply contact us for a replacement with the cut-and-sifted Bali Kratom leaf instead. We truly are here to please, especially in relation to the products we so proudly offer, whether they're premium products such as the Maeng Da or Thai strains, or the Top Selling Bali Kratom leaf we offer as well. We stand by our Kratom powdered leaf as we do every one of our other products, and truly, it's our main mission to offer you superior products you can trust at prices that are either equal or less than any competing identical product. All of our Kratom is verified authentic by Columbia or Wonderland-Labs, and we only choose the highest quality Kratom leaf and powder from verified sources. Nearly 2 decades in business, we have a wide variety of sources, and only the best sources make it through our strict screening process. Why trust Premium Bali Kratom Powder from anywhere else?